At 224 Mill St. in Rochester the old hoistway reveals a bit of the building's history on Google Street View, Sept. 2014. 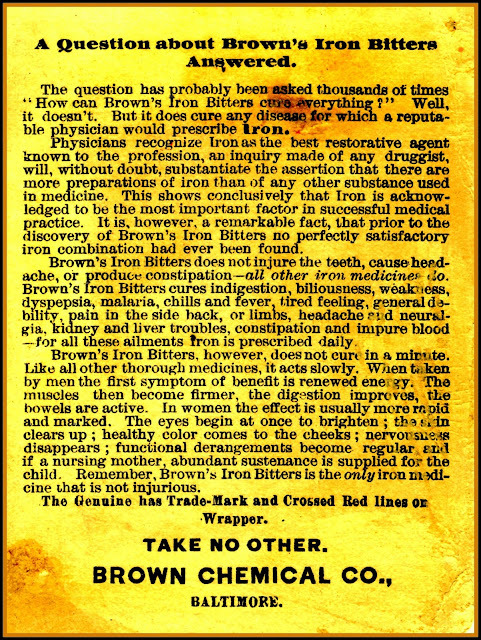 This may well have seen heavy use during the years Trix occupied the building. 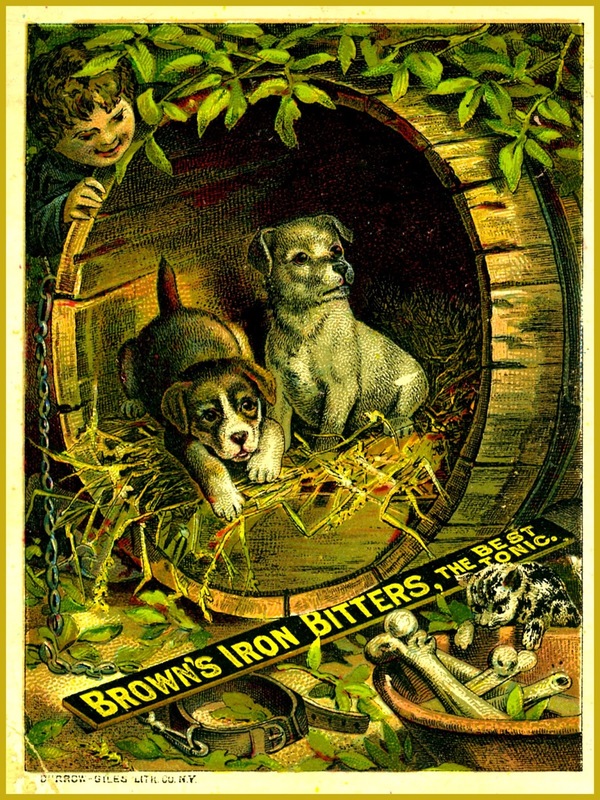 Alcohol & cocaine for your children. Just what they need, for sure! 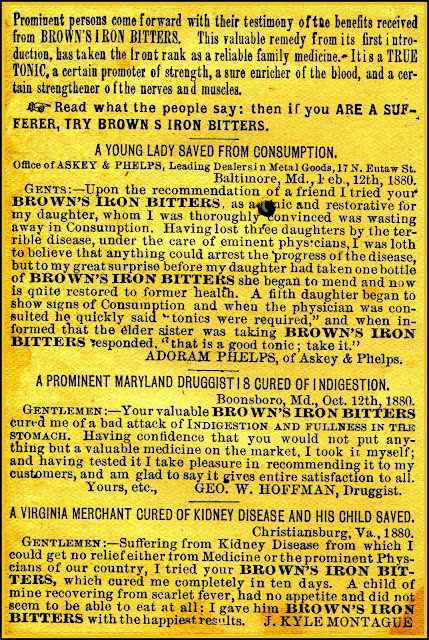 Ferdinand Meyer V's article on the Brown Chemical Company, producer of Brown's Iron Bitters, offers an oportunity to view a variety of the advertising media used by the Baltimore MD Company to promote its product. Here's another new addition (front, then back) to the Arnold Collection's Brown's Iron Bitters advertising cards featuring the lovely Lillie Langtry, actress & producer. Pages 83 and 129 of the Earl J. Arnold Advertising Card Collection present additional information on the Brown Chenical Company and Brown's Iron Bitters. 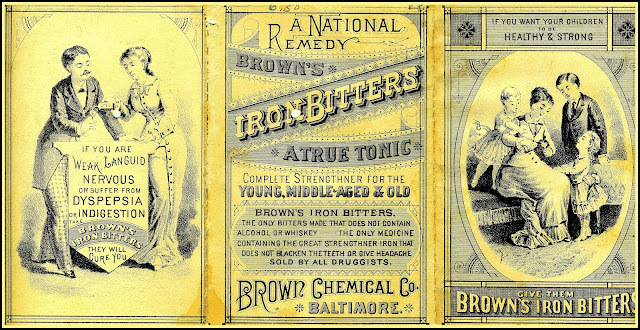 Given the alcohol content of this concoction, folks probably felt better about their symptoms even if they were not cured. 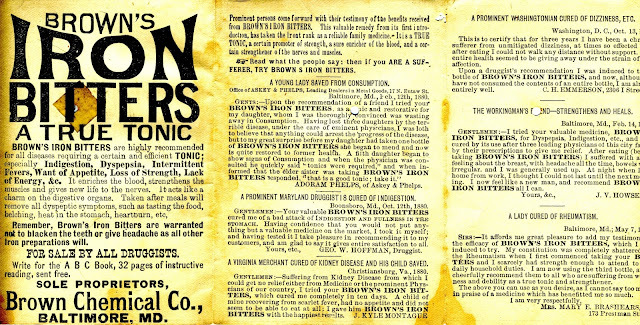 "In 1879, the Brown Chemical Co. began marketing Brown’s Iron Bitters. The company was located in Baltimore, Maryland. 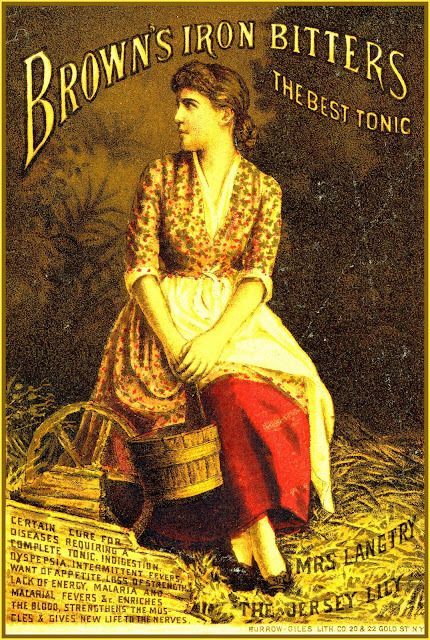 The product was 39% proof alcohol and by the 1890s it was one of the top selling bitters. 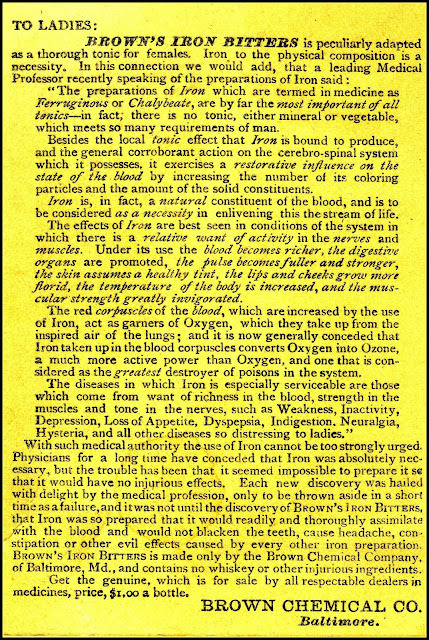 The formula was targeted for female infirmities. 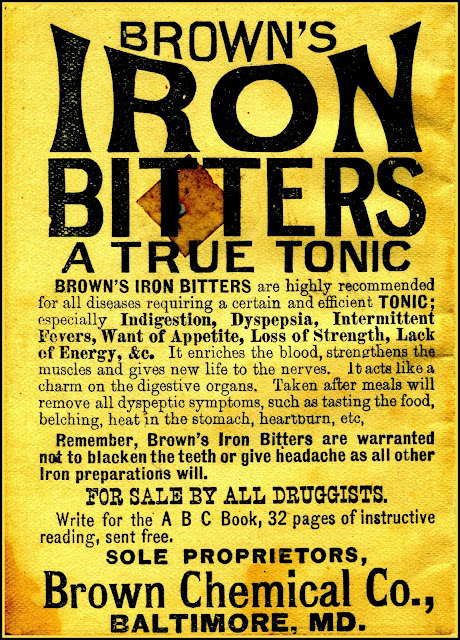 The main ingredients were Iron Phosphate, Calisaya Bark, Phosphorus, Vibernum Prowifolium and Coca." 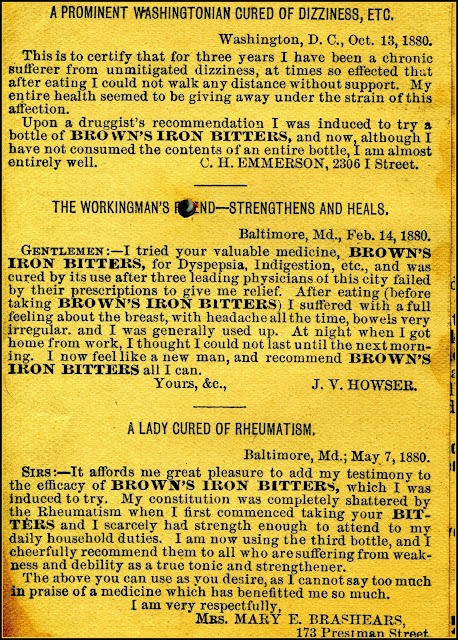 From company headquarters at 25 South Sharp Street in Baltimore MD, the Brown Chemical Company dealt with some serious legal challenges. 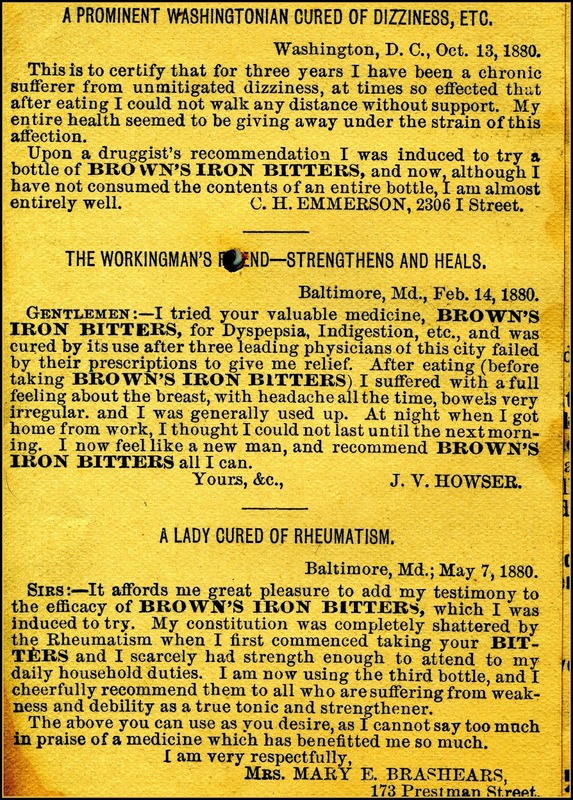 Without any scientific proof to validate claims for cures, the reputation of a product was established through its advertising, testimonials and sometimes a government revenue stamp. Once a medical product gained market share, copycat products were often marketed by those attempting to profit by the established reputation of the original. 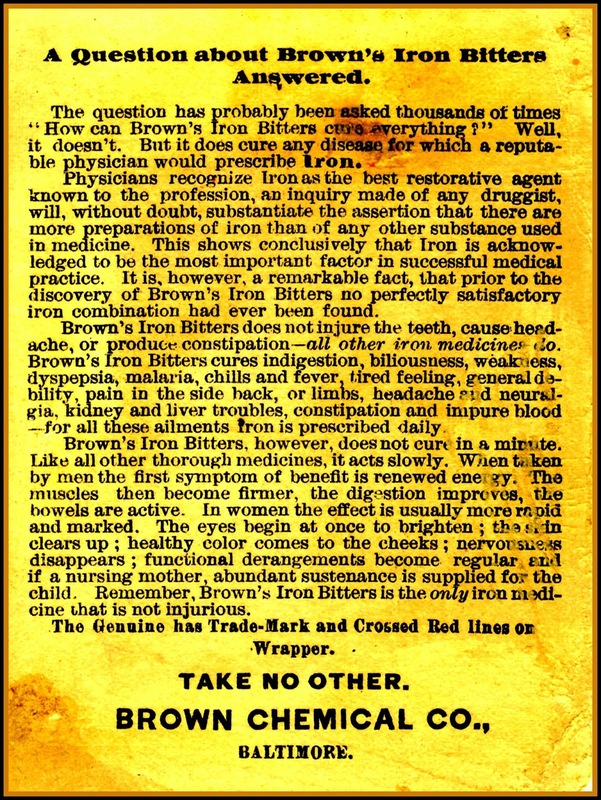 Having made a fortune as a (totally ineffective & possibly dangerous) "cure" for Malaria in the 1870s, Brown Chemical was challenged by such an upstart. 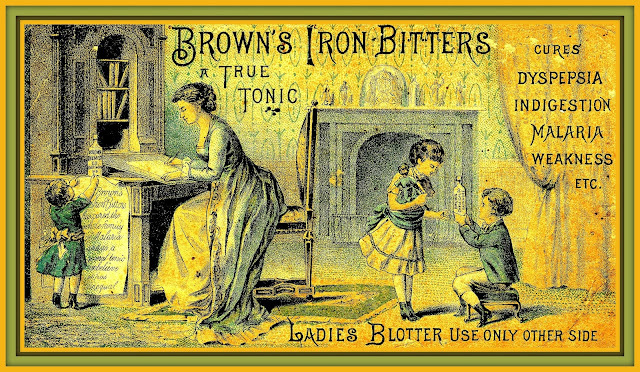 The story is best told by the Potamac Pontil in its December 2010 - January 2011 issue published by the Potomac Bottle Collectors. Who won? 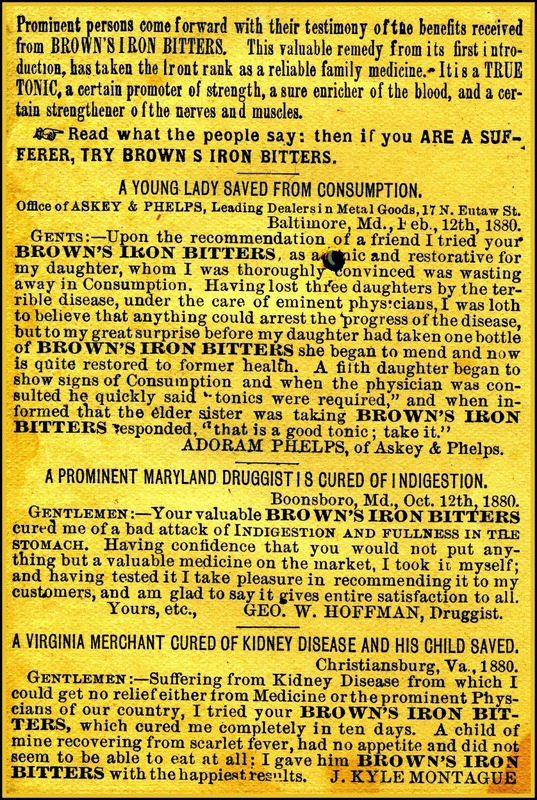 See page 2 for Jack Sullivan's article Brown's Iron Bitters: A Saga in Suing. It's a story with a twist. Good reading! Now that you have embroidered your shoes, how about making a fancy hat on your White? 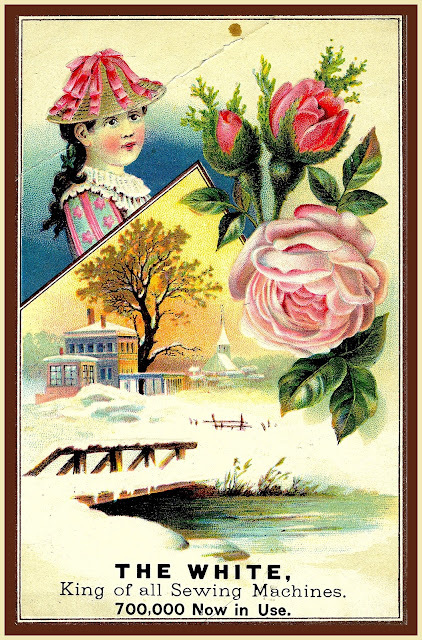 The young lady below is wearing a hat that might suggest a good design! This card was recently added to the Arnold Collection. See page 178 of the Earl J. Arnold Advertising Card Collection for further information on the White Sewing Machine Co.
What a "combination shaving toilet" might be is yet to be determined. There's not enough information on the stamp to determine which bookseller gave out this card.